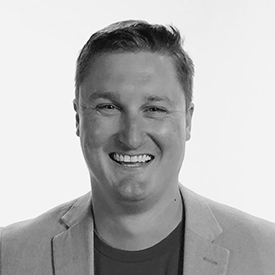 Joel Larson is the Vice President of Innovation at Innowi, a leading mobile point of sale and payment company that focuses on payment innovation and the customer experience. Its mobile checkout devices are deployed in over 4,000 retail stores by the world's largest retailer. Innowi provides the only all-in-one payment solution on the market with a device, pin pad, fingerprint reader, barcode scanner, camera, all NFC options (like Apple Pay), chip reader and card swipe all in one device.Joel's checkout industry background started at Corporate Walmart where he was the Program Lead for all checkout innovation programs. Joel led the Scan & Go Program, Check Out With Me (Mobile Checkout) Program, Assisted the Store 8 Team with Project Kepler (Amazon Go Concept Store) and led complete re-design of the self-checkout. Joel holds multiple patents in the checkout and retail industry.